Rampage is a melee fighter/tank who can also jungle. 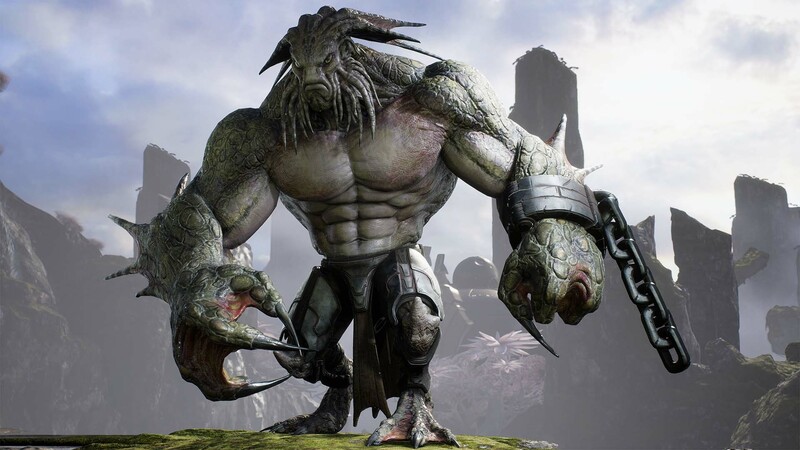 Rampage has ridiculous survivability and mobility making him a good ganker who can fend for himself even in the most tightest of situations. For starters he has a skill which makes him leap towards the direction he is facing and his ultimate skill makes him grow, increasing his overall health pool. One thing Rampage lacks is CC, his only CC skill is a boulder throw that is hard to aim, and his attack damage isn’t as high as other melee heroes. 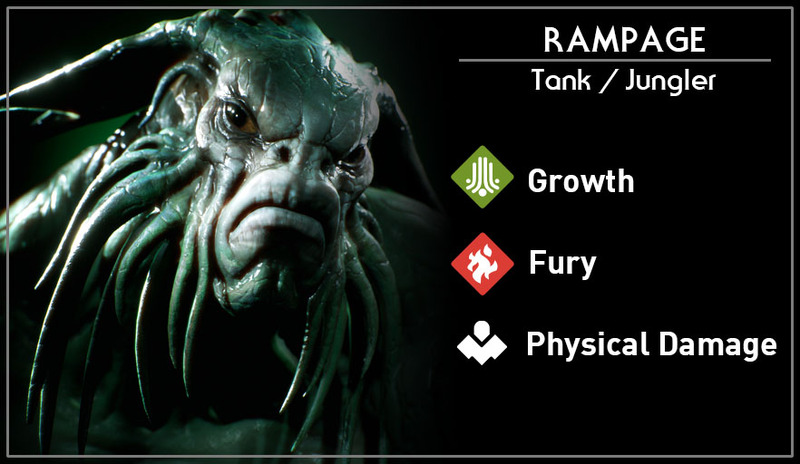 Rampage gains health regen based on missing health and all healing effects are increased 20% while in the jungle. Rampage swipes with his claws. Rampage leaps forward dealing damage in the area where he lands. Targets under 25% health receive additional damage from pounce. Rampage grabs a large boulder from the ground and carries it around. Once thrown and hit an enemy hero, it will deal damage stun for 2 seconds. Rampage lets out a loud roar increasing his movement speed. Static Roar also greatly increases Pounce range. Rampage goes into a frenzy, growing in size and gains a massive amount of health and some bonus physical damage. Pounce cooldown is refreshed and range is increased.